1 hour and 45 minutes total time slot in your own private room or area. Free Admission for Birthday Child. ALL-DAY Admission into BTU for all participants. Dedicated Party Host that entertains, serves, sets up and cleans up. Tablecloth, napkins, plates, cups, birthday candles and plastic ware for all. 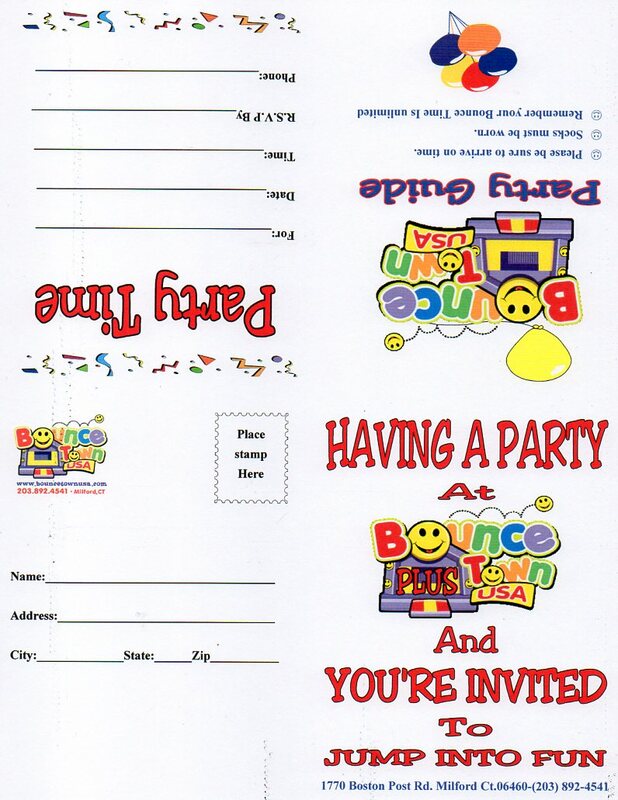 Copyright © 2018 Bounce Town USA PLUS - All Rights Reserved.